The Oscar nominated film Call Me by Your Name has sparked a lot of attention in the past year. From the way that it portrays a teenager coming into terms with his sexuality to the very beautiful but heartbreaking story of Elio and Oliver, this film garnered awe from people around the globe. But one of the best things to love about Call Me by Your Name is its scoring. The way the music complemented the tenderness in the dialogue and scenes is what made many people fall in love with it. The film’s OST features classical music like Hallelujah Junction to ethereal tunes like Sufjan Stevens’ Mystery of Love – which was nominated for Best Original Song in the Oscars. As an avid fan of the film (and of the soundtrack), watching the movie while a live orchestra played its score was something I couldn’t pass up. Film concert was only a concept I used to hear about, but I saw the idea come to life as CC: Concepts premiered Call Me by Your Name in Concert here in the Philippines last October 28th. ALSO READ: Twitter Has Spoken; Can We Have Our Lesbian Romcom Now, Please? 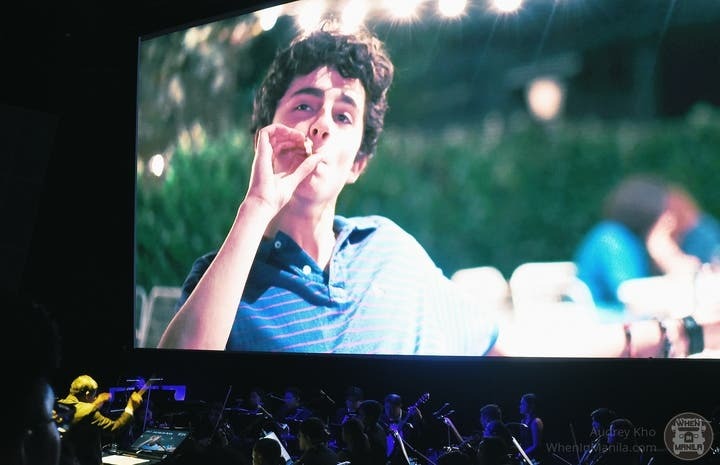 Re-watching Call Me By Your Name in concert, with The Manila Symphony Orchestra no less, was surreal. As if the movie wasn’t already beautiful enough, the orchestra still added a delicate touch of warmth to it. Movie concerts are definitely a new thing for Filipinos, but it’s definitely here to stay. Providing a whole new experience into your favorite movies, giving attention to the score creates a different approach to watching movies that, ultimately, also allow for a better understanding and a new level of appreciation for a film, too. And with the success of Call Me by Your Name in Concert, we’re looking forward to what CC: Concepts have yet to bring to the Philippines. Which movie would you like to see in concert? Let us know in the comments. Everyone is Gushing About Henry Cavill… Here’s Why. WATCH: ‘Magic Temple’ Restored Trailer and Screening Sked Are Out!